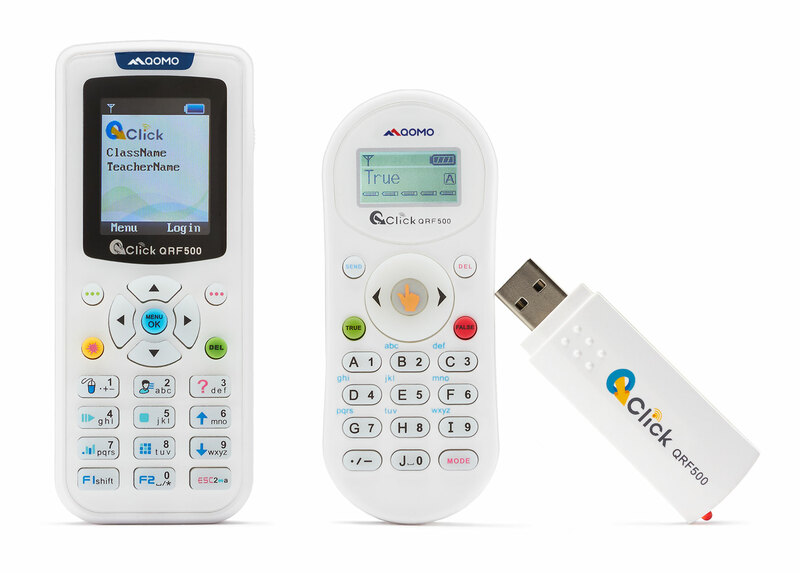 This flexible, “ready-to-go” interactive response technology allows you to administer surveys and quizzes and track progress without being tied to a computer. Receive audience feedback from up to 400 different pocket-sized devices at a maximum range of 250 feet. The presenter remote includes mouse control. The QRF500 supports six activity unique activity modes, including Normal Quiz, Rush Quiz, Elimination, Vote, Survey, and a Freestyle mode that allows you to tailor a quiz to any topic. Use the included QClick software or Powerpoint integration to create and give quizzes, assignments, and surveys. Quiz formats supported include True/False, Multiple Choice, and Short Answer.